Another beautiful design from famous Fillies Collection ladies hats and fascinators brand. 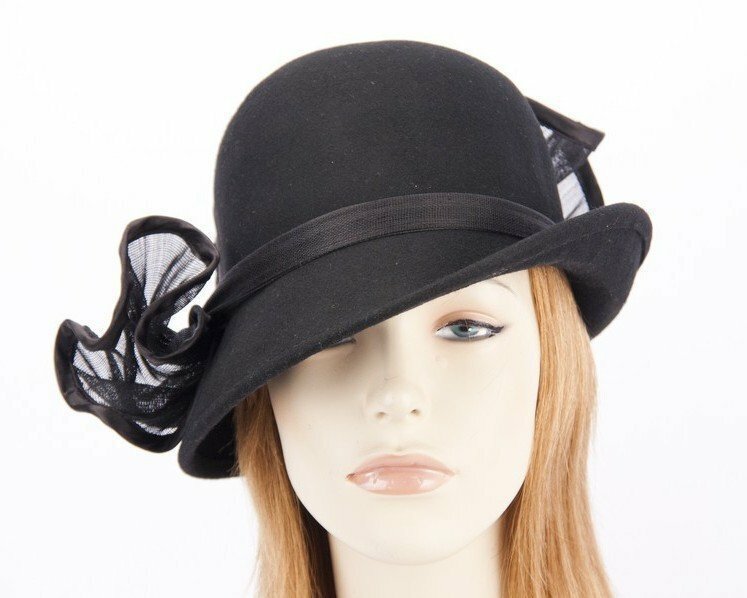 Hand made from pure wool felt with elegant paris cloth trim, this black hat is our latest creation for autumn and winter racing events. As each hat is made to order, please allow few days for creation of yours.